We have good news and bad news for you, Criminal Minds fans. The good? CBS has renewed the crime drama series for a 15th season, meaning you'll get to see all your favorites down at the Behavioral Analysis Unit go inside the minds of the world's most dangerous criminals and crack at least a few more cases. The bad? Once the upcoming season airs its final episode, that will be the end of Criminal Minds — forever. Variety confirmed Thursday that Criminal Minds will conclude with season 15, which will run for 10 episodes. As the outlet detailed, the final installments of Criminal Minds are to be shot sequentially with the series' season 14 episodes. CBS currently has the latter in production right now. Once Criminal Minds fades to black and rolls its credits for the very last time, it will have launched a whopping 325 episodes total, securing it a spot on the list of longest-running television series in history. Among its fellow TV juggernauts are shows like Grey's Anatomy, American Dad, ER, NCIS, CSI: Crime Scene Investigation, Law & Order, Law & Order: Special Victims Unit, and, of course, The Simpsons. The original cast of Criminal Minds includes Mandy Patinkin as Jason Gideon, Thomas Gibson as Aaron Hotchner, Lola Glaudini as Elle Greenaway, Shemar Moore as Derek Morgan, Matthew Gray Gubler as Spencer Reid, A.J. Cook as Jennifer Jareau, and Kirsten Vangsness as Penelope Garcia. As the series grew in popularity, so too did its cast, adding Paget Brewster as Emily Prentiss, Rachel Nichols as Ashley Seaver, Jeanne Tripplehorn as Alex Blake, Jennifer Love Hewitt as Kate Callahan, Aisha Tyler as Tara Lewis, Joe Mantegna as David Rossi, Adam Rodriguez as Luke Alvez, Daniel Henney as Matt Simons, and Damon Gupton as Stephen Walker to the roster in later seasons. Created and produced by Jeff Davis, Criminal Minds centers on a group of highly skilled FBI profilers who work at the Behavioral Analysis Unit (BAU), using their knowledge of criminal profiling and victimology to anticipate what each "unsub" (or "unknown subject") will do next. Running in conjunction with the team's identification and capturing of some of the most evil people in existence are explorations into each of their personal lives. Criminal Minds has put its characters through plenty of ups and downs, deaths and divorces, and worse. And in the final two seasons, fans will learn even more about the crew. Entertainment Weekly teased that both seasons 14 and 15 of Criminal Minds will feature plenty of revelations about characters fans have fallen in love with over the years, with the season 14 finale "expected to include a wedding and a major confession" and season 15 putting one BAU team member "in jeopardy." Dun, dun, duuun! Additionally, Criminal Minds showrunner and executive producer Erica Messer revealed (via Deadline) that season 15 will focus on "a very worthy adversary for the team, especially for David Rossi," and that the 10 episodes will end "with a showdown with that person." She also teased that baddies from seasons past might pop up again, as could former Criminal Minds cast members. "We have one in the works right now who's a very memorable villain, but I don't want to say too much if it doesn't work out with casting," Messer shared. "I am very hopeful that we can honor all of those characters who have been beloved and with this team, with the audience for years, but I don't know what that's going to look like; I don't know the logistics of anything or the story. That won't be shooting until the spring, so I have some time to think about it, but the hope is to be able to honor all of that history, all of those heroes who have come and gone." Describing the mood of the series finale, Messer said, "My gut is tearjerker probably because that's how I'll be feeling. I think in honoring the series and saying goodbye, it's probably going to feel like a little bit of a eulogy. So my guess is tearjerker more than anything else, that's how I'd describe it." CBS didn't offer an exact reason as to why Criminal Minds is coming to an end, though one can assume the series' slow drop in ratings and the cast's probable desire to take on different projects may have motivated the decision. 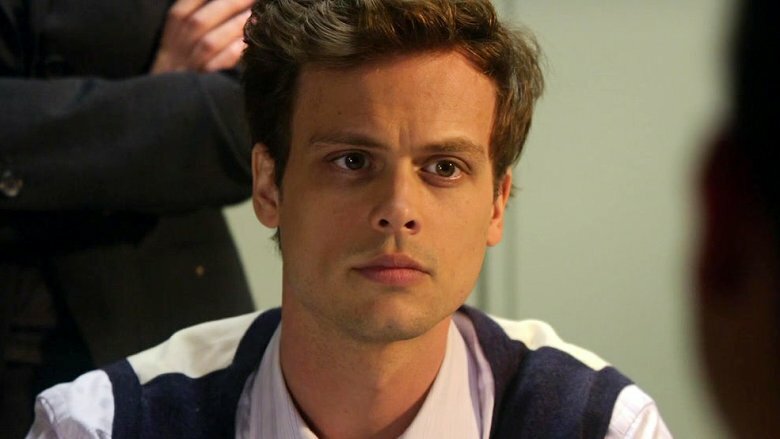 Variety indicated that Criminal Minds' current 14th season is posting an average 0.8 rating in the vital adults aged 18 to 49 demographic and attracting an average 4.7 million viewers per episode. And it isn't difficult to imagine actors who have spent nearly 15 years playing the same characters wanting to see what else is out there for them. It seems that perhaps the trouble that has brewed behind the scenes of Criminal Minds may also have something to do with the series' impending end. Several crew members told Variety in October 2018 that Greg St. Johns, who served as Criminal Minds' director of photography from 2007 until last year, had touched male crew members inappropriately and that he had exhibited abusive behavior on numerous occasions. Before St. Johns' departure that came after the allegations surfaced, Aaron Hotchner actor Thomas Gibson was fired from Criminal Minds in 2016 following an on-set altercation. Still, CBS brass holds Criminal Minds closely to their hearts, with the network's executive vice president of current programs Amy Reisenbach saying (via Deadline), "It is the quintessential CBS hit. We are so proud to have aired it. It speaks to everything we do best, which is air quality television. It's been successful not only on air but online, in syndication, internationally for ABC [Studios] … Its entire run, it's been an asset for the current programming department. It's performed very well against so many different types of series it's held up against Modern Family, Empire, Lost, American Idol. It has this rabid loyal fan base that tunes in every week. It's made it so successful and so dependable for us." Added Messer, "In some ways, the series has always felt like the little engine that could … What's so bittersweet about it is that we are going out still with stories to tell, and we're not on life support. We're not a show that got moved from night, to night, to night. I'm not talking ill of any of those shows, but all those signs that you usually see before a show is gone, we didn't have any of that … I think everyone will be really sad, and I know this cast especially is so fond of one another, they are truly a family. Anytime anything comes to an end, there's sadness, but this is an end of an era. Since 2005, that's a long time in anyone's life and career and everything else. So I think we're all going to be sad about it for a while. We're sad that it's over, but also thankful that it happened." Criminal Minds is expected to air its 15th and final season either late this year or early in 2020.